Few destinations compare to Egypt. Its vast wealth of antiquities and ancient artefacts make it a haven for avid history buffs. Cruising along the Nile you’ll be mesmerized by the grandeur of its pyramids and the decadence of the royal tombs and breathtaking temples. 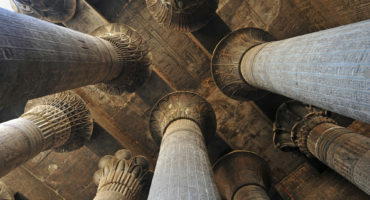 Guided by your Local Expert, gaze upon the most recognizable symbols of ancient Egypt in Cairo. See the pyramids of Giza and then the statues of Rameses II and the Alabaster Sphinx in Memphis. With Insight Vacations gain access to exclusive experiences: • In Giza your Egyptologist will show you the Sphinx and you’ll venture inside one of the pyramids • Gaze upon Tutankhamun’s treasures with an Egyptologist in Cairo. When to go: Egypt makes for a great destination all year round. From its hot, sunny days from April through to October, to its cooler, still pleasant winters, you’ll be guaranteed pleasant weather throughout the year.